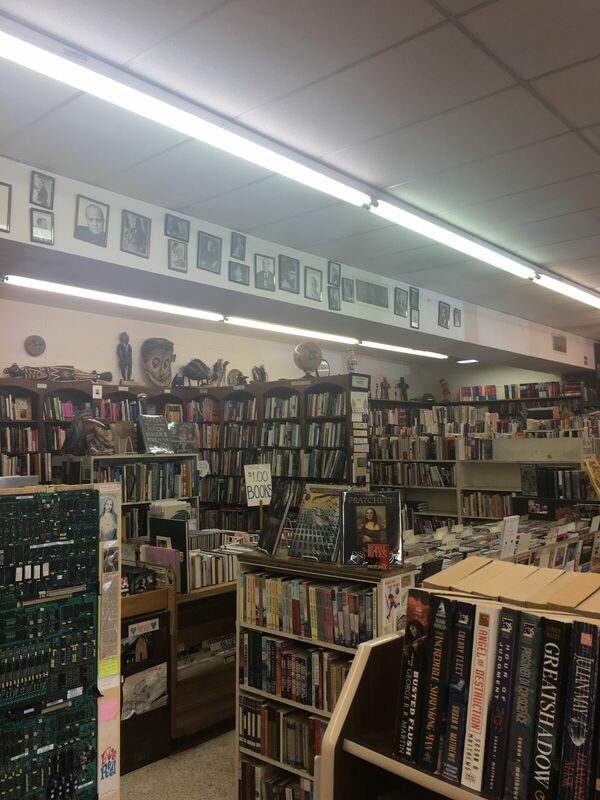 Reader’s Corner has been a resource for undergrads, grad students, and the community since it was opened in 1975 by Kit Clark at the the corner of Hillsborough Street and Rosemary Street. Irv Coats, a NC State alumni, and newly retired veteran, bought the shop in 1980. Coats began with humble beginnings and was only selling about seven books a day. That was when he received a phone call informing him a man had passed away who had a house full of books. Coats drove to the house to consider buying some for his store. Upon arriving, Coats was blown away by the variety and quality of the man’s library. He decided to make an offer of $5,500 for all of the books, which was life savings. It took him three days to empty the house of all the books. All of the books were non-fiction and there as many as one hundred copies of some editions with a high percentage being cookbooks. During that time there was a shortage of cookbooks in stores and they became his best sellers. 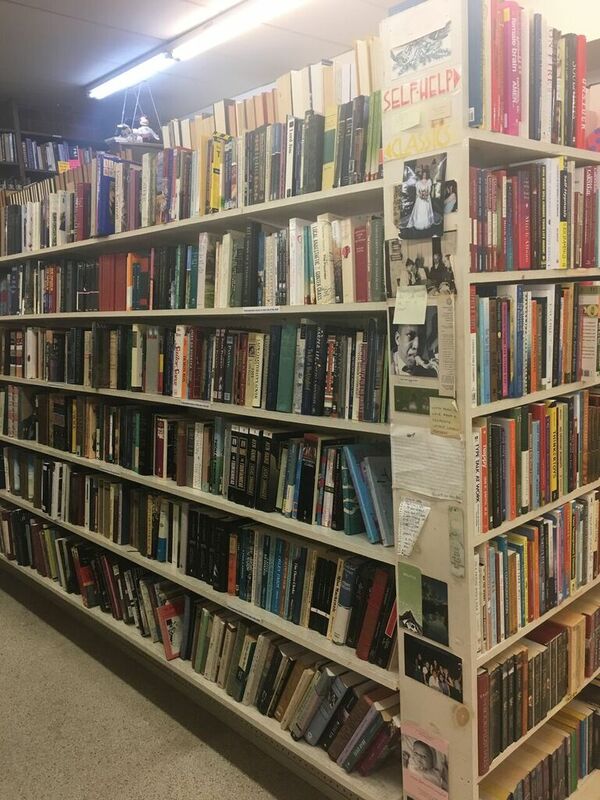 That fateful call was the turning point for the store and established Reader’s Corner as a go-to spot for Raleigh’s bibliophiles. Today, Reader’s Corner buys and sells about 1,000 books each day. Next to Reader’s Corner there are two houses that are also full of books that are waiting to be on the shelves. 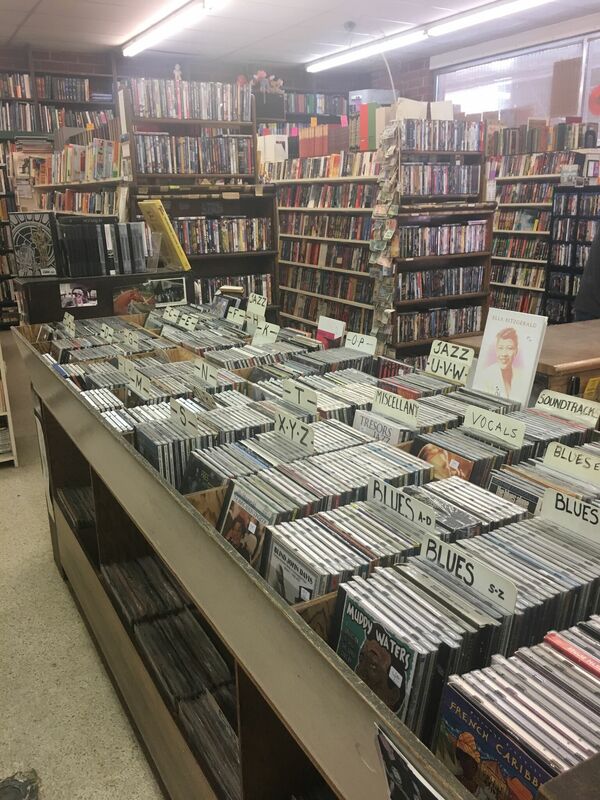 Along with books, they sell DVDs, CDs, and vinyl. They have a great Jazz and Bluegrass collection that many people enjoy. Coats stated that his bookstore is unique compared to the big chain bookstores and no used book stores are alike. When you arrive in the parking lot you will see a variety of old and new posters on the outside and a bookshelf that stretches across the front. Inside the bookstore, there are notes and drawings that were found in books and then posted on the walls. The store is filled with so much history and interesting objects from all over the world. Everywhere you look something different will catch your eye. Reader’s Corner brings a lot of character to Hillsborough Street and attracts people from all walks of life. From researchers with working on large grants to elementary readers and retirees looking for the next good book. NC State faculty, their spouses, students, and people in the immediately surrounding community are all loyal customers. Reader’s Corner also give back to the community through donations to Shaw University and National Public Radio. Reader’s Corner has also been making a statement internationally. Coats explained that people buy books and take them with them to Africa or the mountains. They leave them behind as a business card of sorts for the store. At Reader’s Corner you can find copies of scarce and original books that tell you about events in history that you never knew about. Coats explained that it is not always easy knowing what readers are looking for because the same books do not sell all the time. Coats has a small five person staff that helps him keep Reader’s Corner up and running. He is also more traditional and the only social media Reader’s Corner has is Facebook. Although they do not have much of a social media presence customers can visit their website: abebooks.com/home/irvan or order books on Amazon at: amazon.com/shops/readcorner. Coats encourages you to email or stop into the shop with specific questions readcorner@aol.com. There has been a lot of construction on Hillsborough Street but it had no effect on Reader’s Corners business. Loyal customers still found their way through and around the Phase II construction. Now, construction has cleared up on the sorth side and Reader’s Corner has a newly paved entrance and parking lot that is makes it easy to access from the street. 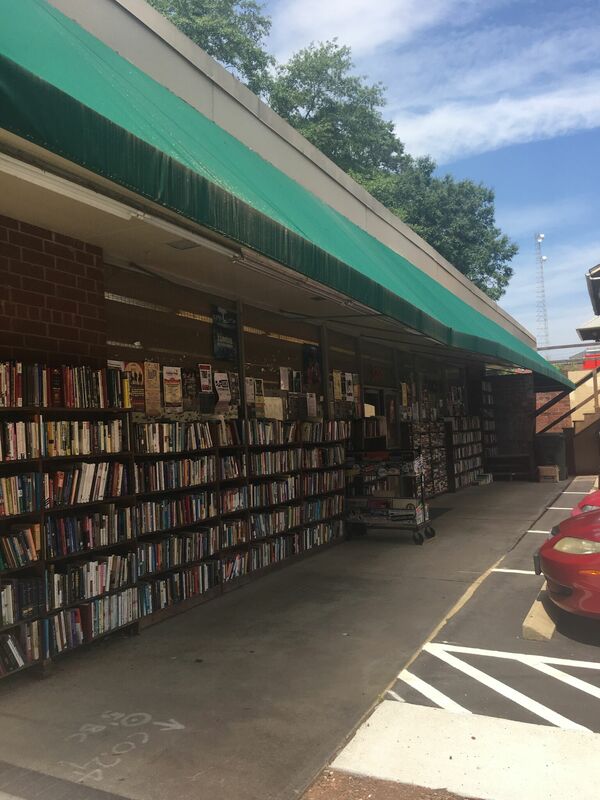 Reader’s Corner is a one of a kind place to go for a good read, classic music and movies, and an amazing piece of Hillsborough Street history.